Did that Pinterest board just come to life? Well…when I first watched the video for Alex Beadon’s #FeelGoodBloggingChallenge I was like “WHAT?!? !” How am I supposed to do that! Our challenge today was rather interesting and difficult at first. We were asked to teach YOU guys how to do something.Can I be honest here….. The very first thing I thought of was when I was back in 3rd grade and was asked to write a “HOW TO” paper and I chose how to make a peanut butter and jelly(YUM). But since I am a tad older now I probably should think of something else. Well after some thought I knew what I was going to share! 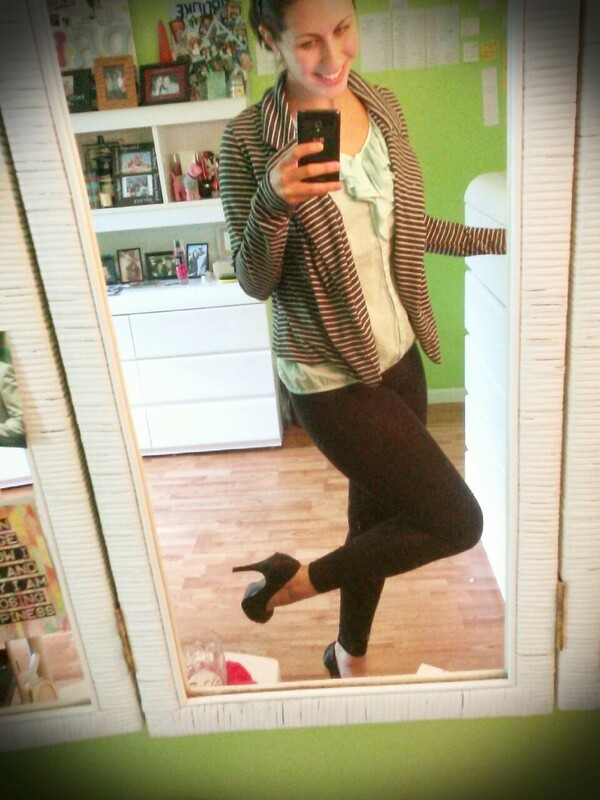 Now don’t laugh…but I am going to share with you guys how to recreate a PINTEREST inspired outfit. Let me share something else with you. I am an avid thrift shopper (hence the name title above). Yes, I said it! Now I know the song is playing in your head and if it wasn’t it probably is now…your welcome! But clearance racks are also my best friends! Step 1: Go on Pinterest and aimlessly pin all day long. And when you see something you like PIN IT. 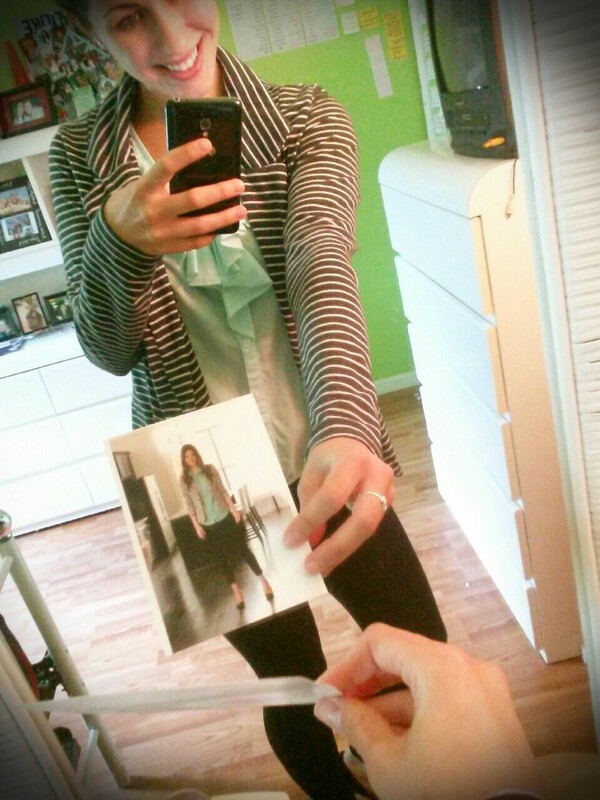 Step 2: Choose outfit that you do actually really love (which will be all the them, DUH you pinned them) & print out. Nope that is not me! Step 3: GO SHOPPING! Make your pins come to life! & have patience. I say that because if your gonna do this right you may have to go to more then 1 store (I usually do). But clearly I don’t have a problem shopping because I just shared with you all “HOW TO” go shopping! Easy enough right? My point here is if love something MAKE IT COME TO LIFE. I know it’s just clothes (Calm down). But That was fun! I love your blog. I’m a new blogger. I would love if you would stop by my blog and see if you can give me any tips. Remember to follow me. Thanks Victoria! I have always wanted to do it: ) I will be on the lookout during the challenge! Ahhh Brooke I LOVE this post! I do the same thing every day…pin…pin…pin and I have YET to actually buy an outfit that resembles things I’ve pinned. Pieces yes, but a whole outfit…no. I am just loving your energy and can’t wait to see what great things are to come from you! Cute post (and outfit!) GREAT idea to actually print out the outfit you want to find so you don’t get lost in the racks & racks of clothes at the Thrift Shop, you have a PLAN!!! Oh wow! It was fun just watching you via this post. Awesomeness!! I Was ACTUALLY Going to Do the PB and J How to Then Alex said “Your Audience” and I said NO, They Dont want to read that LOL> I love Your How too! 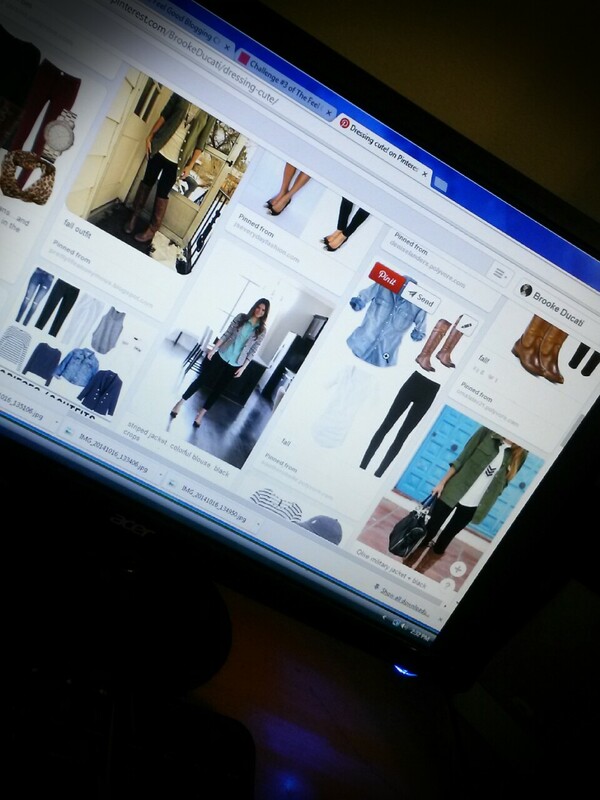 Next time I go Shopping, Im going to Let Pinterest Guide the Way!! Love this idea! I’ll be looking foward to more “thrifty Thursdays” !! Awesome idea!! Funny, my blog post was about Pinterest too!! Pin and print, I love it!! This is so adorable! I actually do this all the time. Only you gave me the idea of using the thrift store! Great job girl! Awesome! I think it gives it a great twist. Nothing wrong with a thrift store deal! This is awesome!!! So fun! Oh my goodness, I so don’t need anymore nudges or pushes to go shopping! 😉 Thrift stores are the best, they’re so ingrained in me that it’s hard to spend full price on clothes anywhere else. Cheers! Agreed! I never shop at the mall and other stores unless I find a super great bargain!! This could actually be a fun idea to do with friends! You could bring a couple friends along shopping. Everyone could print out outfit ideas from Pinterest and then everyone has a set budget to shop and recreate one of the outfits! What a great idea! I definitely have to try this! What a fun way to think of shopping! Great outfit and at a steal!! I’m so bad about just aimlessly pinning things. I need to put more into action! I pin a lot of things for photo shoots or window displays that I never even use. I need to bring them to life! Thanks girl! OMG! You are ADORABLE! Looooved this post and I will absolutely do this from now on. Genius, you are!!! I’m all about fashion but I lack vision. Thank you so much for this wonderful post!! You are so SO welcome Danielle! I will be trying to do these weekly so stay tuned! That was genius! Now I’m thinking i should have chose another topic. Something universal. Great post! I’ll be following. I’m a new blogger and I like the simplicity of your post. What a fun post! You are so right – it is so easy to spend time pinning your favorite things…but putting it into action is another story. This is something I certainly need to put into practice more. 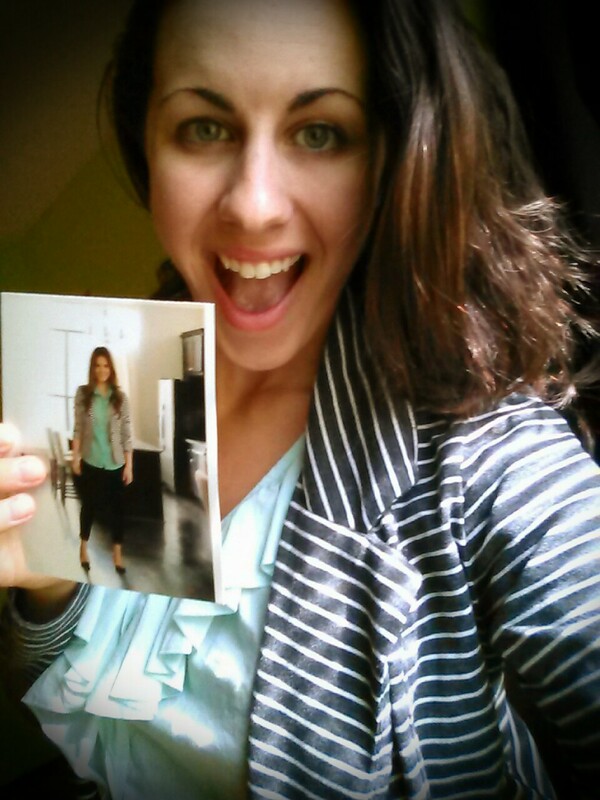 Found you through the #feelgoodblogging challenge! Thanks for sharing! Hi Ashley, this was an interesting post and I think really necessary and crucial in our over-spending society today. One thing I was missing though was information about where you bought the clothes from, and if they were thrift finds, how long did it take you to find them! Wulf Willis on You can DO IT too!